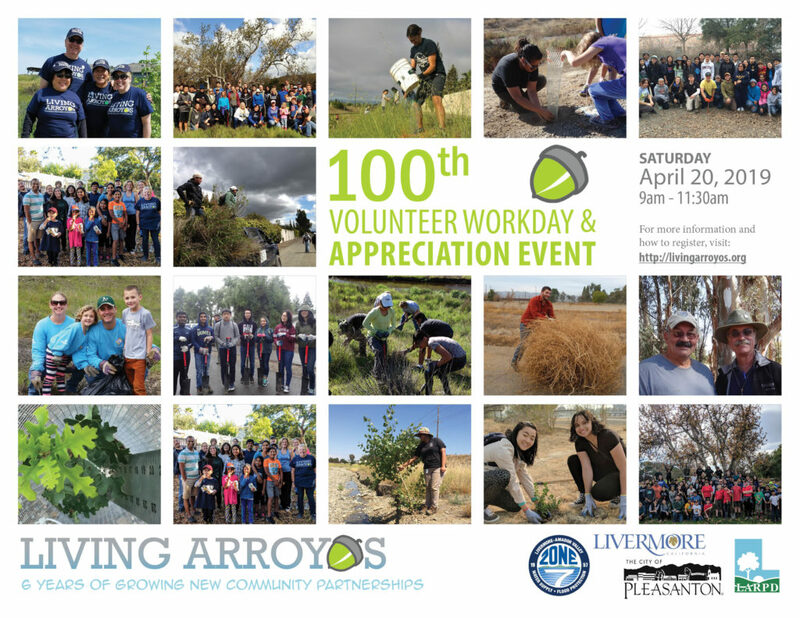 Living Arroyos will take a moment to celebrate the volunteers and all the great things we’ve been able to accomplish with their help. After the morning’s creek clean up and planting, everyone will enjoy the time outside with a light lunch and refreshments as we take the time to thank you for all you’ve done to make our arroyos and streams better places. This event will be at the Stanley Reach of the Arroyo Mocho, as was the first event, only this time we will gather at the access gate by 10 Rockrose Court (Livermore). The event is scheduled to start at 9am and end at 11:30 am with a free lunch, raffle, gifts and cake. Please register here so we know how much to bring. Hope to see you all there!